High above Nairobi, our female Air Kenya pilots give us astonishing views from our 18-seater, Twin Otter 300 plane over the city’s western suburbs before the landscape changes to dry brown scrub, then pockets of farmland crisscrossed by red-earth tracks turning greener as we neared the slopes of Mount Kenya – the Magic Mountain. For that is certainly what Mt Kenya is. Our first sight of her through the sun haze is breathtaking: snow-covered jagged peaks are the plug of an ancient now-extinct volcano. The 17,058ft-mountain looks ethereal. No wonder local tribespeople consider Mt Kenya to be sacred. A protected area since 1949, it became a UNESCO biosphere reserve in 1973 and a World Heritage Site in 1997. Today the whole area is managed by the Government-funded Kenya Wildlife Service. 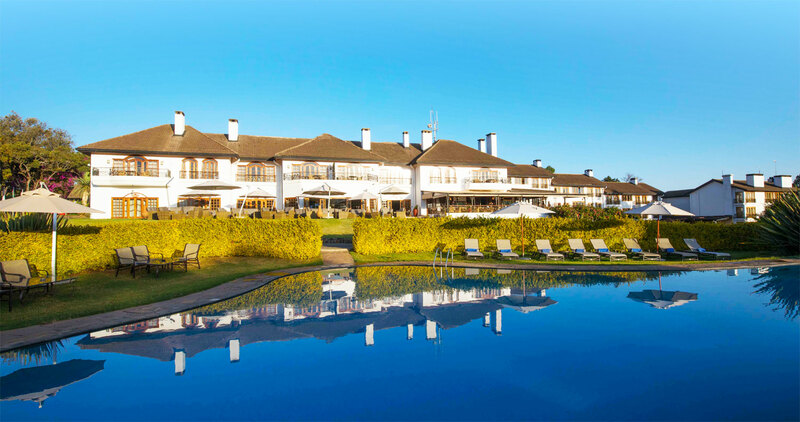 Few hotels can boast they have the Equator running through their grounds, but such is the fortune of the historic Fairmont Mount Kenya Safari Club near Nanyuki in East Africa. 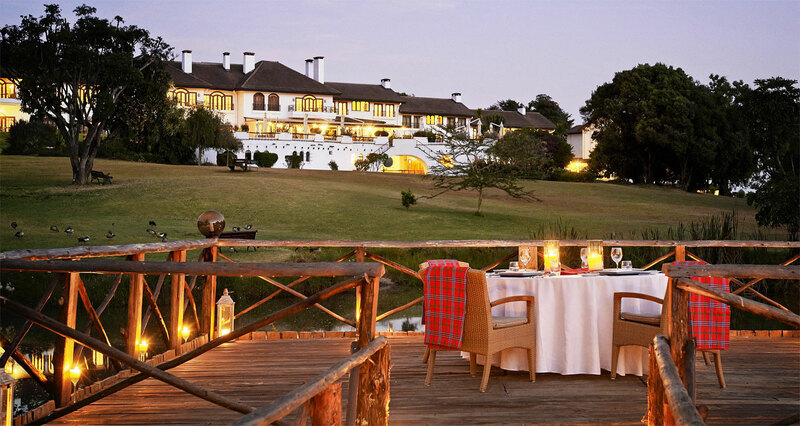 This award-winning 100-acre resort estate on the slopes of Mount Kenya has a fascinating history. Formerly the retreat of Hollywood star and game hunter William Holden, who sold the Safari Club estate to previous owner Adnan Khashoggi, this idyllic Kenyan hideaway still feels like a family home – albeit on a super-grand luxury scale. By the time we land at Nanyuki’s grass airstrip, Mount Kenya – usually shrouded in fog and clouds – is clearly visible. An auspicious portent on our arrival at the Equator. The air smells fresh; there’s a slight wind to cool the heat; the sky an iridescent blue. Acacia trees stand sentinel alongside the newly built runway. I inhale deeply like a free diver re-surfacing. There’s magic in the air here. We arrive in minutes at the resort’s grand gated entrance. Security is tight at all Kenya’s Fairmont properties: The guards wave us through and we enter an enchanted kingdom. The drive to the main house passes the stables, flame trees, more acacia and thorn trees, lush manicured lawns and gardens, vivid purple bougainvillea and orange bird of paradise. To greet us, a colourful group of Kikuyu dancers dressed in traditional costume lead us singing and dancing to the exquisite Rose Garden for a very special Equator Ceremony and presentation of our Equator crossing certificates. 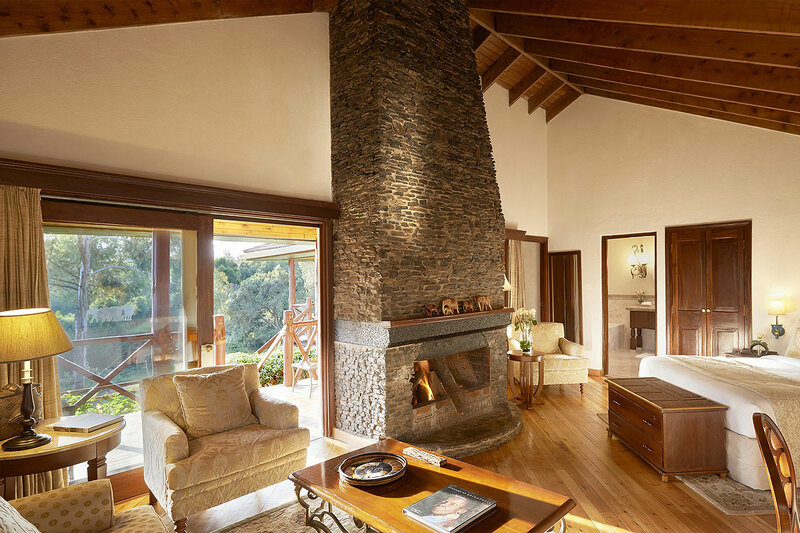 The Fairmont Mount Kenya Safari Club lies at 7,000ft and straddles the Equator, so guests can spend part of their stay in the Southern Hemisphere and part in the North. Our guide Charles demonstrates how water drains clockwise in the northern hemisphere and anti-clockwise in the southern. It’s known as the Coriolis effect. How extraordinary to be in a garden divided by the Equator. The varying north and south energies are tangible here. 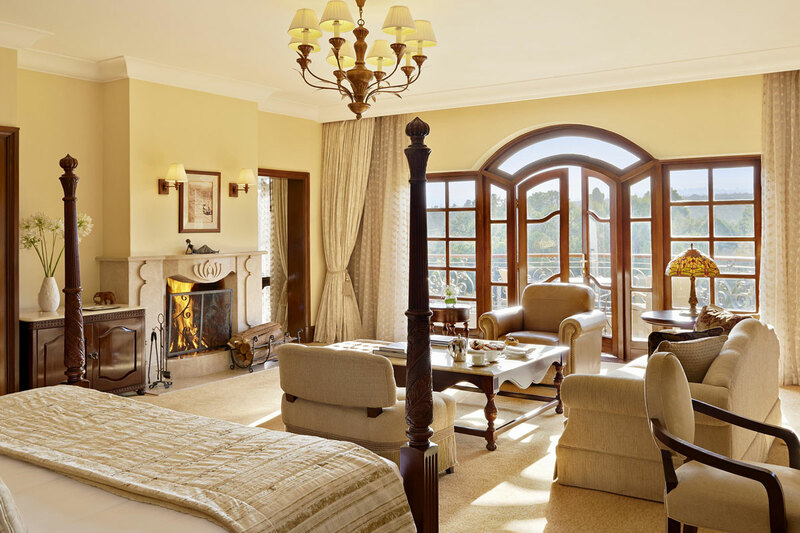 The Fairmont Mount Kenya Safari Club offers guests a haven of tranquillity with 120 luxurious rooms. 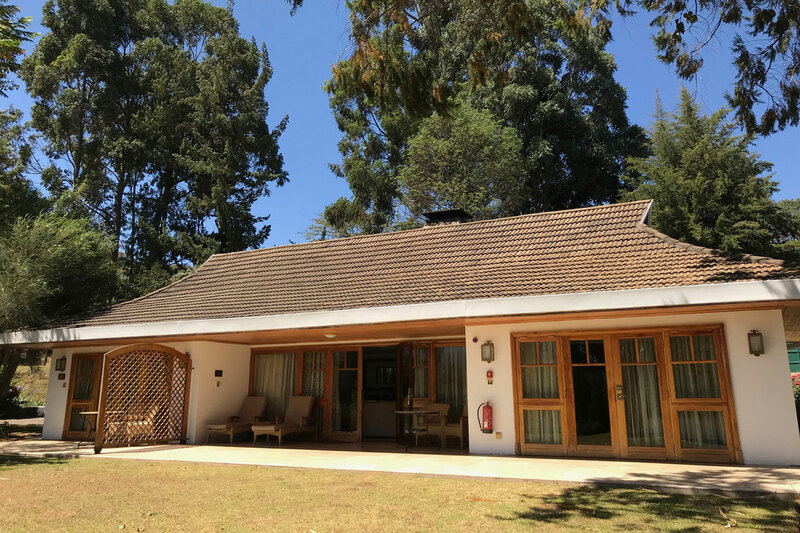 The main house, with its 1950’s colonial aesthetics and superb rooms and suites, an arc of independent cottages (huge two-bedroom luxury bungalows) and additional bungalows in a forested area of the estate. It’s the perfect setting to marry the love of your life (the Signature Suite is a honeymoon favourite). And the perfect solo escape as I discovered on entering my gorgeous two-bedroom bungalow. Discreetly tucked away along the driveway to the right of the main house, it boasted a massive lounge space with working fireplace (lit each night, thank you). And two beautiful bedrooms each with ensuites with capacious bathtubs and showers. And all the amenities you’d expect at this level, including two hot water bottles discreetly placed in my bed each evening. 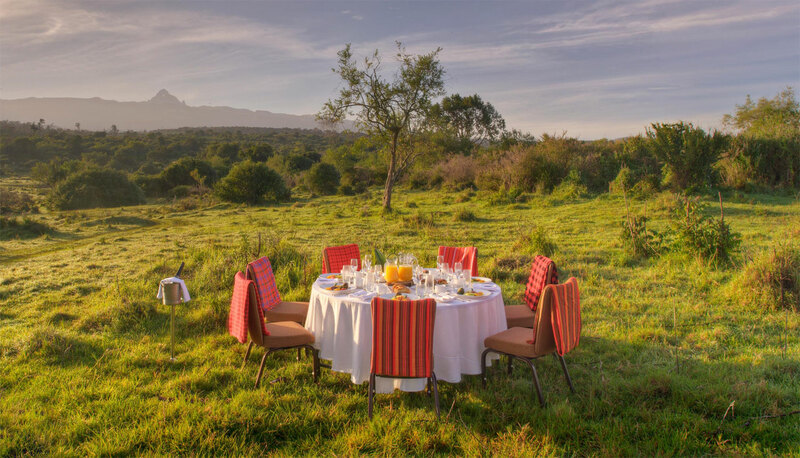 The expansive private terrace looked out across to Mt Kenya across manicured lawns and a large pond that came alive each afternoon with birds. And to my left partial views of the main house. The most beautiful escape. And I was only a few hundred yards from William Holden’s former cottage. Apparently, he set up a telescope in the garden, so he could keep an eye on proceedings at the main house. The silence is so welcome. No cars here and the only noise you’ll hear during your stay are the bird calls from over 50 species: semi-tame sacred ibises, marabou storks, peacocks, Egyptian geese and lots of beautifully coloured smaller birds who approach the lunch and breakfast tables in anticipation. Other resident animals include two gorgeous black Labs, Tusker and Grammy who appeared to spend most of their day in blissed out repose.